We at OAU Peeps News Agency congratulate every aspirant that has been offered admission into the prestigious Obafemi Awolowo Univerity. Some of the admitted students have been calling us to know when the 2016/2017 academic session will resume and when registration will commence. As of now, neither the resumption date nor the registration details have been made public, but we are sure this will be sometime in the first quarter of 2017. In the mean time, we encourage all the admitted students to prepare themselves for the registration. The following are the documents you will be needing for screening and registration as a Fresher. The Non-academic staff unions of Nigerian universities on Thursday in Abuja suspended its 5-day warning strike. 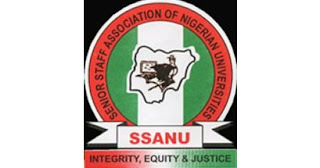 The unions are the National Association of Academic Technologists (NAAT), Non–Academic Staff Union of Educational and Associated Institutions (NASU), and Senior Staff Association of Nigerian Universities (SSANU). The Joint Action Committee (JAC) of the unions announced the suspension in a communiqué. The communiqué was jointly signed by Mr Sani Suleiman, President (NAAT), Mr Solomon Alfa, Vice-President (SSANU), Mr Peters Adeyemi, General Secretary (NASU). Others are: Dr Jamila Suara, Permanent Secretary Ministry of Education and Permanent Secretary in Labour and Employment Ministry, Mr Clement Illoh. The Deputy General Secretary of SSANU, Mr Festus Ajayi, read the communiqué to newsmen at the end of the meeting with the Federal Government. “The meeting urged the members of JAC to suspend its ongoing warning strike. The Executive members of the Law Students Society of the Obafemi Awolowo University, Ile-ife in the fulfilment of some of her leadership responsibilities paid visits to some of their members resident in Mozambique, Angola and several other Halls. The leadership of the Association claimed that the welfare visit to the different halls of residence was to check on the well-being of their members and wish them a hitch free semester. The President of the society, Ekpa, Stanley Ekpa informed our reporters that the visit is designed to span through this week. According to him "leadership demands that we must constantly seek novel means to make the welfare of the people our utmost concern. Hence, we have decided to start with welfare visit to welcome back our members to this promising semester as a continuation of our general welfare programme for the session which commenced with the Ife Law Exam Welfare Package last semester". "STUDENTS' UNION, OBAFEMIAWOLOWO UNIVERSITY, ILE-IFE"
It must be said at the onset that the purpose of this article is not to malign the organisers, contestants and other stakeholders in the OAU IDOL competition. This writer writes with a clear conscience and only seeks to x-ray issues and present them as they are. Ordinarily, the purpose of OAU IDOL, which is in its second season, can be said to give young talents on OAU campus a platform to explore their potentials as well as win prizes. From all appearances, the competition fills the need to create a platform where students with talents in music may display themselves before a large audience and may well be on their way to fame and stardom. While the above may be regarded as true and valid, certain concerns have been raised over the execution of the competition. These issues will be addressed in subsequent paragraphs. This is to notify the general populace of the Department of Mechanical Engineering and the Faculty of Technology at large that the deadline of submission for the Essay writing contest organized by Mechanical Engineering Department has been extended by two weeks. The new deadline date for submission is now January 27th, 2017. This is to allow more time for participation. For some people, taking off their shoes in someone's home or in a public place is forbidden because it could cause some sort of discomfort among people around. This is as a result of having smelly feet. Smelly feet, also known as Bomodosis is when a foul odour is emitted into the air after pulling off one's shoes. It is a common thing which could happen to anyone. Two things occur in the existence of smelly feet: sweat and bacteria. The cause of this foul odour is not the sweat, but the bacteria that thrives in the moist environment. Hence, It is not the sweat from the gland that smells but the bacteria which causes this. 1) Poor personal hygiene: An individual who cares less about his personal hygiene and doesn't take hygienic measures could possibly suffer from smelly feet. In what some students have termed a partial fulfilment of one of the acting Vice Chancellor's promises, the number one man of the university, Professor Anthony Elujoba met with students of the institution today. 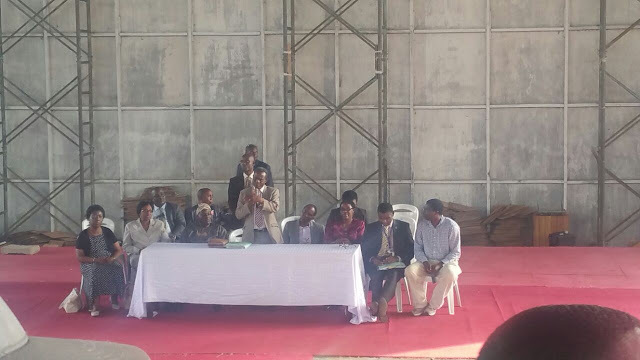 The seemingly impromptu meeting was very brief as the Acting VC had to adjourn it till further notice due to the low turn-out of students and the absence of the Deans of most faculties. Elujoba however used the medium to appreciate the students for their loyalty and support for his administration. He also thanked the students for the peace maintained within the university community since he assumed office. Just immediately Elujoba was confirmed the acting VC of the institution by President Muhammadu Buhari late last year, he promised to meet with students of the institution at the Amphitheatre and hold discussion with them. FG has pleaded with the non teaching staff unions in the universities that embarked on strike yesterday to suspend their action in the interest of the nation. The Joint Action Committee, JAC, of the unions in a statement issued in Abuja, stated that the warning strike had become necessary to make government take necessary action to fully implement the 2009 FGN/Non-Teaching Staff Unions Agreements it freely entered into with the unions. The Federal Government through the Minister of Labour and Employment, Senator Chris Ngige in a statement appealed to the three unions to suspend their action in the interest of the nation. Sequential to the announcement of a one week strike by the National bodies of the Non-Academic Staff Union, Senior Staff Association of Nigerian Universities and some other pressure groups regarding the non-implementation of the 2009 agreement between the Unions and the Federal Government, the OAU Chapter of these unions have embarked on the 5-day warning demonstration leaving a big void in the operation of several activities of the University. A visit to the Faculty of Pharmacy revealed that most of the practical classes scheduled could not hold due to the absence of Laboratory attendants in the Faculty, the general Secretariat of the Faculty was also locked. The Hezekiah Oluwasanmi Library, which is also the place of refuge for many students who have time differences in between lectures, was also not in operation today as its usually wide open doors remained tightly shut throughout. A visit to the several other Faculties further revealed their very much hindered operations. OAU Peeps News Agency on Saturday 14th of January, 2017 inducted new set of members into the Agency. The event which was held at the Junior Chambers International (JCI) Secretariat in Fajuyi Hall, Obafemi Awolowo University was graced by prominent figures in the business of Campus Journalism on OAU Campus. Distinguished campus journalists who attended the event include Miss Faith Adebayo (the General Secretary of the Association of Campus Journalists, OAU) and Miss Adeyemi Adenike – the Editor-in-Chief of the Icons News Agency. Others are Mr Ojelabi Jesujoba (PopeJay), the Editor-in-Chief of OAU Peeps News Agency and Mr Olaoluwa Joseph – the Deputy Editor-in-Chief of the Megaphone News Agency. In an exclusive interview with OAU Peeps News Agency, the executive council of the Nigerian Universities Accounting Students Association headed by the President of the association; Mr Sunday John Akpan, has come out to clear the air on the alleged crisis that has rocked the association over the past few days. 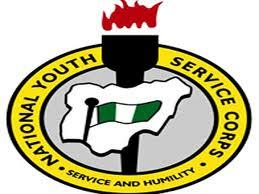 The NYSC Management wishes to inform prospective Corps members and other stakeholders that the 2016 Batch 'B' (Stream II) Orientation course will commence on Tuesday, 24th January, 2017. Non-academic activities in universities will be paralysed for five days from tomorrow as the non-teaching staff unions comprising the Senior Staff Association of Nigerian Universities, SSANU, National Association of Academic Technologists, NAAT, and Non Academic Staff Union, NASU, have threatened to commence on a warning strike over non implementation of the 2009 agreements the unions entered into with the Federal Government. JAC also wrote to the Minister of Education, Adamu Adamu, informing him of the resolution of the three unions to embark on the warning strike.